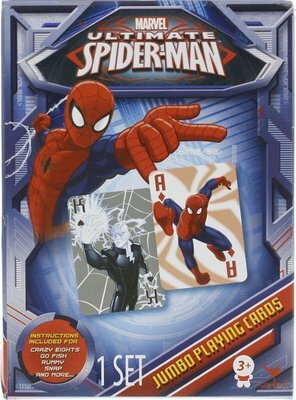 Package Contents: One pack of Ultimate Spiderman Jumbo Playing Cards. It is a fun illustration of Spiderman very cool cards. Both sides are full colour.